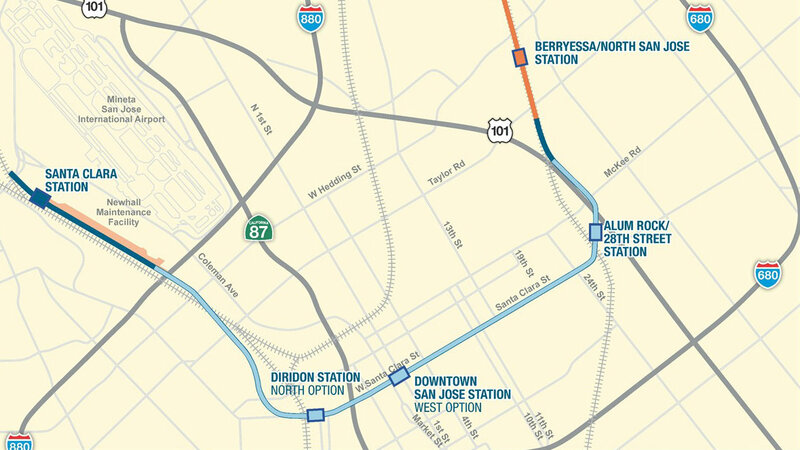 On December 6, the VTA Board of Directors will consider adopting the Final Relocation Plan for VTA’s BART Silicon Valley Phase II Extension into downtown San Jose and the City of Santa Clara. The adoption of the Final Relocation Plan is a critical milestone in the project schedule and will allow VTA to enter into negotiations for the first phase of property acquisitions. On June 4, 2018, the Federal Transit Administration (FTA) awarded VTA’s BART Phase II Project a Record of Decision for its federal environmental document. With this action and VTA’s Board of Directors’ certification of the state environmental document, VTA received the authority to acquire property for Phase II. As with any major transportation project in an urbanized area, some relocations of residential and non-residential occupants are unavoidable for the project to be completed. Federal and state laws require a public agency to prepare a program to appropriately address impacts to property occupants that may arise as a result of the agency’s acquisition of the property – this is documented in a Relocation Plan that is formally adopted by VTA. A Draft Relocation Plan was prepared and made available for public review and comment between August 17 and September 17, 2018 in accordance with California law. The Final Relocation Plan includes comments received from the public and responses to those comments in Appendix G (page 90). The plan will be presented to the Board for review, consideration, and adoption this Thursday. Request for project design to reduce or eliminate property and occupant impact VTA commits to ongoing evaluation of the property footprint needed for the project. Request for additional time and effort to allow for complicated business moves VTA will endeavor to provide more than the statutorily required timeframe to relocate. Request to address construction impacts to local business not being relocated VTA will address this non-relocation matter through a small business marketing and assistance program. For more information about VTA’s BART Phase II Extension Project, please visit www.vta.org/bart or sign up to receive updates at http://www.vta.org/phase2info.